The Advent and winter period is the best time of the year for decorating, baking and handicrafts. Nature also now offers a multitude of materials that inspire the design of beautiful small gifts. 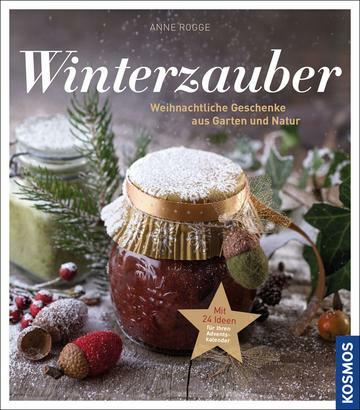 The main thing is natural and home-made: delicious recipes with wild fruits, decorations for Advent with cones, moss and berries, or just attractive products for wellness – everything the heart desires. Of course, ideas for the Advent calendar or for gnome presents cannot be forgotten here, either. For gift giving or for yourself: Home-made items from garden and nature are just that loving and individualized! What Lives in Stream and Pond? Christmas is the perfect time for lovingly prepared homemade gifts. Vegan through the Christmas holidays? It's possible! More than 80 hearty and sweet recipes for any occasion.